There seem to be two types of launch gig; those that are all-singing, all-dancing, a cracking line-up, a huge venue... and no CDs due to a miscalculation of the production time. I've been to more than one of these, and I think the problem is that to arrange something so huge, it has to be done months in advance, which means taking a guess at exactly when the CDs will be ready. I've always felt sorry for those musicians who've had this happen to them; arranged a magnificent gig only to have nothing to sell. And then there's the other type; a low-key gig at a small, cosy venue. In order to avoid having no CDs, we opted for the latter. We waited for our CDs to arrive, then quickly arranged a free gig at a new-to-us venue in Liverpool called The Ethical Glass via a lovely chap called John who saw our 'venue suggestions please' post on the Liverpool Bands noticeboard on Facebook. We invited everybody and were chuffed when a not insignificant number of people turned up to hear us. We appreciated people taking the time on a sunny Sunday afternoon to hear us play in a basement! That's dedication and we're tremendously grateful! There's nothing to quell the nerves like looking out and seeing friendly faces there in support. 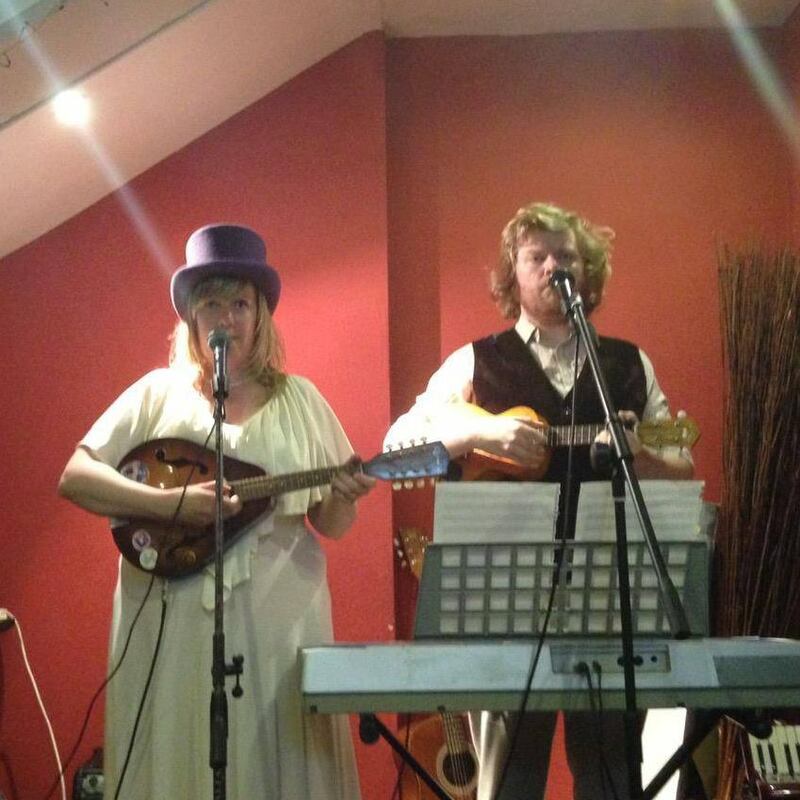 After the Ethical Glass regulars played a lovely mix of country covers, we took to the stage. It's always great to turn up to a venue that has 'regulars' and some of them genuinely seemed to enjoy our set. We played some traditional folk songs, followed by playing the songs from our album, Amateur Astronomy, and its bonus track, too, utilising a large cross-section of our instrumental panoply, including psaltry, mandolin and treble recorder... and more. a narrative tale about a roguish anti-hero." Finally, because quite a few people clapped for a good long while at the end, we came back on stage briefly to play an encore; our folky version of 90s rave classic, Ebeneezer Goode. Thank you so much to Mark at The Ethical Glass for letting us grace your stage, thank you to John for sorting it all out, and huge, huge thanks to everyone who came along to hear us play, and bought our music! Our next gig is playing for Liverpool Acoustic in support of Louise Jordan, alongside Chris Callander and Esme Higgins, at View Two Gallery in Liverpool, in the evening of Friday 24th July. Tickets are available from WeGotTickets for £5.50 or on the door for £6.